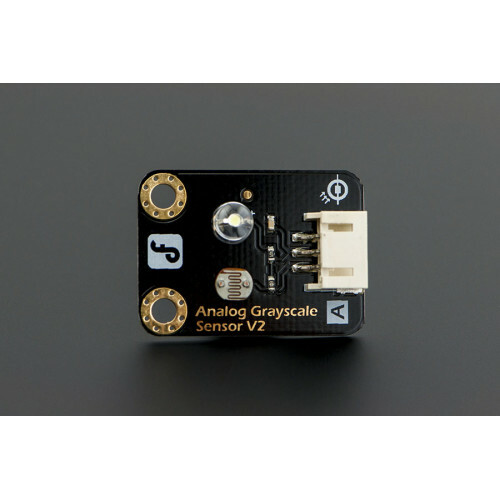 This gray scale sensor is able to measure the intensity of light from black to white. A gray scale is also known as black-and-white, are composed exclusively of shades of gray, varying from black at the weakest intensity to white at the strongest. 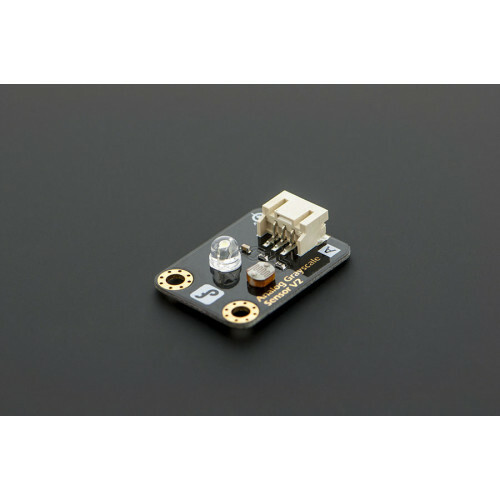 The gray scale sensor for arduino is a composition of a photocell (light-controlled variable resistor) and a integrated white LED on board aiming just front of the sensor. It's connected LED will let you compare and provide some reflective feedback to analyse gray scale light ranges. Different colors will apply but only gray scale values will be outputted. 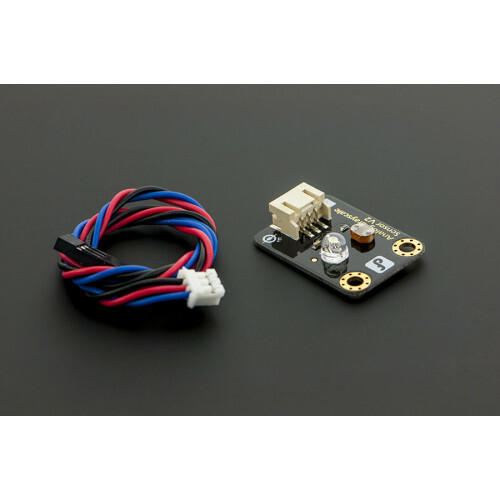 This new design includes a much better quality connector that increases life span of the sensor, better voltage range and easy to use. 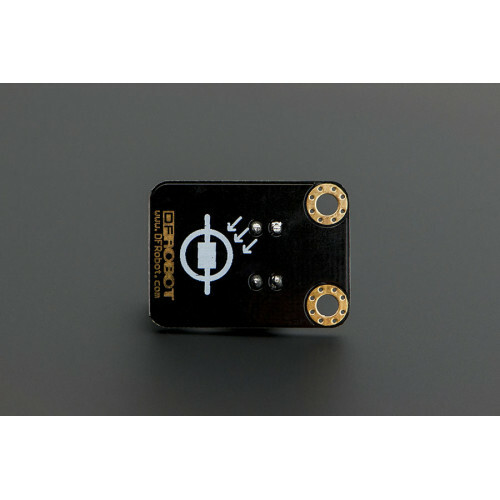 This is a common sensor for automatic lamps that are turned on when light is not enough. 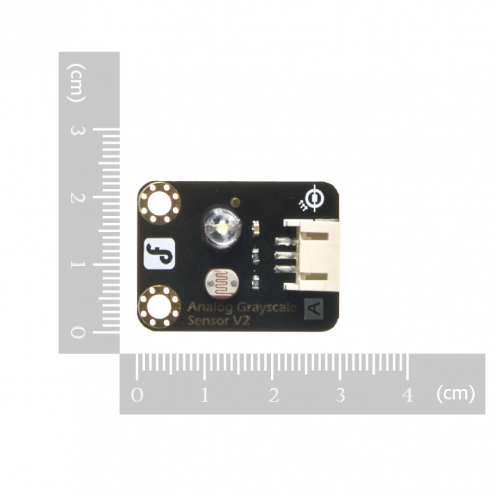 For example, with lack of sun light the value will be low enough and this value can be used to trigger a relay to enable a lamp and shutdown the lamp when the sunlight is back. Other light sensitive devices could be used for simple data transmission, like Morse code with a flash light. And can also be used as a line following (tracking ) sensor.